PLEASE PLEASE PLEASE Can you post this on the SNP facebook page. I am SICK of trying to tell the idiots on there who STIll believe in the mythical "export tax on whisky and other Scottish goods"
Your indefatigable commitment to myth busting and facts never ceases to amaze. On behalf of all those less tenacious - much obliged for all the work. The BS needs to be exposed. The SNP drones lap it up anyway, they know deep down its rubbish but such is the addiction they go along with it anyway. Fantastic research as usual Kevin. We all appreciate your hard work & time spent on this. The really worrying thing is that the SNP know these "facts & figures" are utter garbage yet expect Joe Public to believe it. That's interesting, a blog article that has as much substance as a Christmas pantomime. There are other sources of income which are not in dispute however. For example, Scotland's share of UK defence spending is at least three times that spent by our neutral neighbour, the Republic of Ireland. 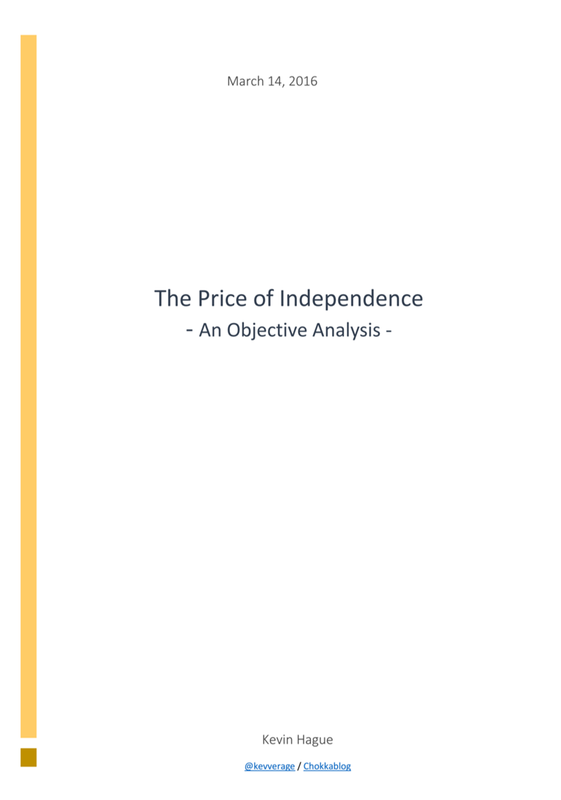 An independent Scotland could massively reduce military spending; knowing that when push comes to shove, England would be bound to defend Scotland from external aggressors simply out of self-interest. That's around £3 billion savings in just that line item alone. Immoral? Cynical? Of course. But that's never stopped Scotland's parasitism of England before. In addition, Scotland could even offer airbases to the United States to help guard the GIUK Gap and get paid for free defence! After all, it worked for Germany all those years! thanks Drew yes I was aware of that - my point was really that the term is made up to sound like there is somehow an attribution of exports to "Westminster" as opposed to "Scotland" - I could also made the point that exports are not a balance sheet item anyway - this is the problem with critiquing nonsense, there are so many layers of wrongness you can get lost in them. Of course UK government expenditure and revenue stats exist - but they are about government income & expenditure and government assets & liabilities - again unaffected by export figures (which are neither a revenue, cost, asset or liability). As I say in the text, the economic activity behind those exports of course affects government revenue, as correctly attributed to Scotland in GERS - and they would need to be considered in any balance of trade analysis (I'm not aware of any such analysis where they haven't been). True, that's a good point. On the one hand, most import and export activity is done by private companies and therefore doesn't appear in the Government's own accounting. Although what about the companies the Government retains a share in? Does the Government have to account for them financially on it's own books? I'm thinking RBS but also the defence cmpanies the MOD has a stake in, like BAE systems, Rolls Royce and QinetiQ. Do the 'golden share' agreements have a financial dividend too? As the UK is the second biggest exporter of arms in the world after the US, those exports figures must be pretty substancial. Drew, do you really think that the government takes no interest in import and export activities by private companies? Stop being naive or misleading. Why do you think HMRC records all such transactions? Do you seriously believe they are omitted from national statistics? You are either naive or addicted to conspiracies. The Golden Share arrangements are simply to prevent foreign takeovers of key strategic defence companies. MOD receives nothing from exports, although where the UK has invested a great deal in research and development the Treasury may impose a Commercial Exploitation Levy (CEL) to get some of this back. In my experience the amounts are negligible, often just a few million pounds or less. A product usually has to be highly successful for the CEL to kick in and few achieve this. Your insinuation that there are large amounts of unaccounted revenue is another creative attempt to establish a factoid. This is not the first time that your comments have suggested something that does not really exist or which omits key elements to engineer incorrect interpretations. Incidentally Rolls Royce UK is primarily a civil company and is not regarded as a major defence contractor in MOD circles. Rolls Royce USA is a different proposition, but does most of its work in the US for the US government, so is these is little benefit for the UK. In other words your suggestions are rubbish, but you shouldn't let facts get in the way of generating yet another grievance from nationalists. I think it is you that is too caught up in conspiracies. . If you notice the question marks at the end of my sentences, that usually signifies a question, as opposed to making a statement. My question wasn't about taxes on imports and exports but about what if any value of products and services the Government is involved directly in. In some cases the Government contracts with defence contractors aren't entirely clear to a laymen. For example, while companies like BAe have the contracts at DM Beith, the facility and employees are MOD. So is the work to make armaments and munitions subcontracted back to the Government and if so how do they record this on their books? When the US Navy and other NATO allies use the bombing ranges at Cape Wrath and Luce Bay, do they pay for this service to the MOD? Beith is used to store, service and maintain complex weapons, not for manufacture of munitions. 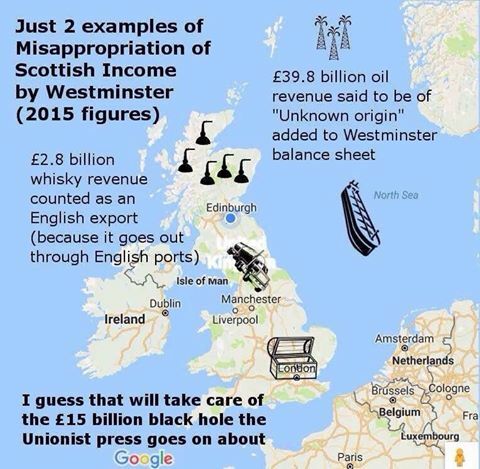 If Scotland were independent this work would be done elsewhere in the UK or abroad, so it would be wrong to suggest this is a hidden revenue stream. No country will maintain such facilities in a semi-disarmed country that already exhibits the sort of anti-defence attitude reflected by your own views. MOD employees do not work for private companies - they work alongside them. It is not a case of civil servants being lent out to private companies and then their services being sold back to the public sector. Use of ranges by foreign powers is usually undertaken on a reciprocal basis, so the UK can use their facilities and is thus not an export service. Private companies will be charged for R&D firings (but not much work of this kind happens in Scotland). You still seem keen to imply that there are hidden defence revenues that will somehow accrue to an independent Scotland. There aren't. The MOD will almost certainly look to the USA or France to support such services rather than a Scotland which is likely to have a government that is questionably disposed and thus unreliable as far as UK interests are concerned. Despite your protestations of being a Liberal supporter there appears to be little difference in your views expressed in numerous comments from those evinced by the SNP. That is not a conspiracy, just an observation. Are the Scottish Liberals really all that different in reality? Just asking. Thanks for the info anonymous that's useful. I'm not coming from a position of supporting independence or opposing it and I can't speak for liberals as well have no formal connection to the party other than voting for them. I appreciate this blog is for holding the SNP account but you can't blame them for reserved matters like defence, the U.K. Government must be answerable in this regard. My concern is for the ethical, environmental and public health impact of Scotland hosting so many MOD facilities. To find out who is responsible for such safety concerns, you have to try and follow the money. Whoever profits from defence contracts must be responsible for waste management and public safety. For example, I understand Scotland is the only place where depleted uranium bombs are tested in the U.K. What is the impact of this to marine, wildlife and local communities from these highly toxic waste products? What happens if they get into the food chain? Are we involved in the manufacture of weapons that kill and maim civilians in other parts of the world?